Once the comment period closes—assuming that it is not extended—we can expect the DOL to attempt to formulate a final rule. 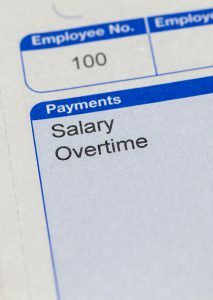 Modifications to the existing exemptions will not only affect a sea change in the means and manner in which employees are to be compensated, but the attendant costs associated with such rule will undoubtedly have a profound effect on the way employers structure their workforce. Moreover, failure to comply with the new rules—which are bound to cause confusion among management—may subject employers to significant liability. Concomitantly, appreciating how the new rules will affect you and your business, aligning your practices to comply with the changes, and understanding how to structure your workforce to maximize your profitability without running afoul of the law will be perhaps more important than ever. The attorneys in Offit Kurman’s Labor and Employment Group are well-versed in the Fair Labor Standards Act and understand its intricacies. We would welcome the opportunity to discuss the proposed changes with you and help your business navigate the uncharted territory of the new wage and hour landscape.